More than three billion people still burn wood, dung, coal and other traditional fuels inside their homes. The resulting indoor air pollution is responsible for more than 1.5 million deaths a year – mostly of young children and their mothers. 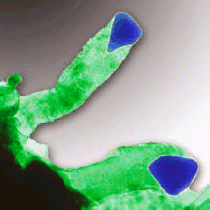 Millions more suffer every day with difficulty in breathing, stinging eyes and chronic respiratory disease. 1.5 billion people have no access to electricity, and 85% of the population in Africa don't yet have electricity. 400 million in India have no access to power. There is enormous unmet demand for access to electricity and clean energy. In its annual Human Development Report, the UN Development Programme (UNDP) said the UN has designated 2012 as the international year of sustainable energy for all. Energy is essential to meet our most basic needs: cooking, boiling water, lighting and heating. It is also a prerequisite for good health – a reality that has been largely ignored by the world community. One of the greatest energy needs across the world is for cooking, something which we take for granted. 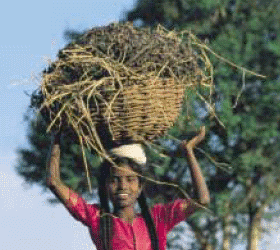 Without a decent energy supply, people are forced to rely on biomass - wood or animal dung - for cooking. Women and children can spend hours every day searching for increasingly scarce resources. Once they start burning biomass, the thick acrid smoke cause's serious lung diseases turning kitchens into death traps. Children and their mothers are most at risk, choking, retching and gasping to get air to their lungs which are being attacked and destroyed by smoke. More people die from smoke inhalation than malaria. According to the World Health Organisation, diseases associated with indoor air pollution claim 1.5 million lives every year - that's one person every 20 seconds. At Cancún in December 2010, countries agreed to establish a new Green Climate Fund to support mitigation and adaptation activities in developing countries, including capacity-building, technology development and transfer. Australia anticipates that, over time, a significant portion of long-term financing to support climate change activities in developing countries will be channeled through this Fund. Throughout 2011 Australia joined 39 other countries on the Transitional Committee which was tasked with the design of the Fund. The Transitional Committee's recommendations, including the draft governing instrument of the Green Climate Fund, were approved by the Conference of the Parties to the UNFCCC in December 2011 at Durban. As a result, concrete steps are now being taken to operationalise the Fund to ensure the appropriate arrangements are put in place so it can commence operations including allocating funds to support action on climate change in developing countries as soon as possible. Australia, like other developed countries, is providing some financial assistance to support the initial administrative operations of the Fund. A central element of bringing developed and developing countries together in an international climate change agreement will be financing to assist developing countries in their transition to climate-resilient and low-carbon economies. It is in Australia's interest to assist developing countries to build their capacity to reduce emissions and to take urgent adaptation actions while maintaining a priority focus on development, in particular the eradication of poverty. Early action on both adaptation and mitigation will reduce global costs and the costs to individual countries. To this end, Australia is working to build a coordinated approach that will deliver financing where it is needed most, as soon as possible. 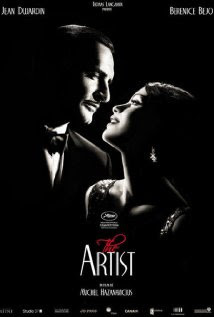 "Australia's funding for 2012/2013 - $172.07 million. Our total climate change expenditure over the fast start period (2010–11 to 2012–13) is expected to exceed the $599 million fast start commitment." It’s great to be here at Aaron’s Linen Service. I want to thank Vic Stolar and his family for making Bert van Manen and myself so welcome. This is one of the thousands and thousands of businesses right around Australia that is nervously waiting for the carbon tax. Vic’s business has got a power, gas and electricity, bill of about $1.2 million every year that’s going to go up and up and up - $120,000 just for starters - and that makes it so much harder to employ people. There are about 120 people working here in this factory and laundry. Estimate of energy requirement: $120,000 carbon tax for CO2 emissions priced at $23 per tonne implies emissions of about 5,200 tonnes per year. Allowing about 800 kilograms of CO2 per megawatt-hour implies energy use of about 6,500 megawatt-hours per year. This is equal to continuous energy use of 750 kilowatt-hours every hour, 24 hours per day, 7 day per week, 365 days per year. Note that some energy is required as electricity and some as heat. 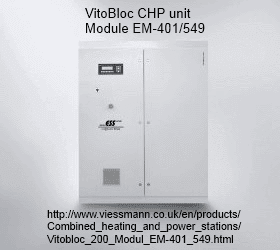 Using this figure of 750 kilowatt-hours every hour as an indicative guide for in-house power generation, a VitoBloc CHP unit Module EM-401/549 is about the right size. By generating power in-house the high-cost Australian electricity distribution grid is avoided. This represents the greatest saving. This saving is perhaps 25-40 percent of the $1.2 million annual power bill. As an added bonus, total emissions will be less than 25,000 tonnes of carbon dioxide per year. 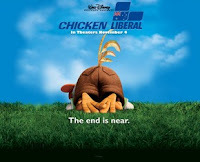 As a result NO carbon tax will be payable. This is a further saving of 100 percent of the estimated carbon tax of $120,000 per year. The co-generation plant was built in 2002 in partnership with AGL, as part of a 20-year energy supply agreement. A dedicated 4 km natural gas supply line was also negotiated to supply the necessary gas at high pressure, which is burned in a gas turbine to drive the electrical generator. Waste heat from the gas turbine is harnessed to produce steam used in the brewing process. Eighty percent of the fossil fuel energy is converted in the co-generation plant into useful energy of power and steam, approximately 2.5 times greater than a conventional coal-fired power station. 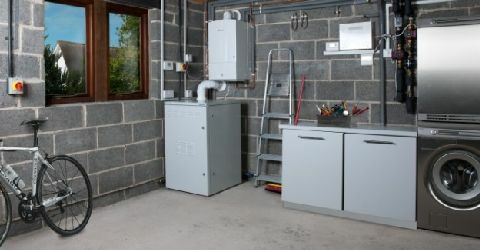 This has reduced carbon dioxide emissions by up to 15,000 tonnes per annum compared with using grid electricity and conventional gas-fired boilers. While the co-generation plant produces 24,000 megawatt hours (MWh) of power per year, the brewery itself only uses about 6,500 MWh. The excess power is fed into the South Australian power grid through a high voltage underground power line. The plant also generates 50,000 tonnes of steam a year, used for heating in the brewing, evaporation and packaging processes. Steam was previously generated at the brewery by standalone gas fired boilers. An absorption chiller unit has also been installed, which uses surplus steam from the cogeneration plant to produce chilled water for brewing. It’s not often that a small Australian company gets to look at an enormous market and find it is the leading global player. Overseas institutions, a few individuals and Australian self-managed funds are its main shareholders. No large Australian institution is involved. US based giant – the $4 billion capitalised Jabil – believes this is a product that, one way or another, is going to be manufactured on a massive global scale. The BlueGen product uses ceramic fuel cells to turn natural gas into electricity and heat for hot water. 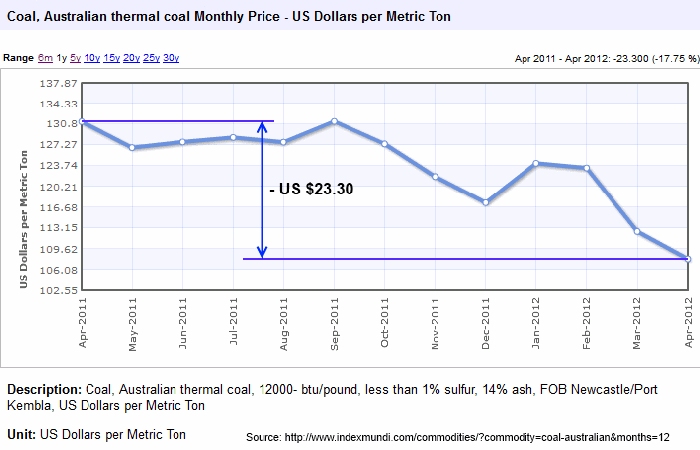 After one of the warmest U.S. winters on record the world price of thermal coal has PLUMMETED. Tony Abbott JUST DOESN'T GET! COAL prices are falling so fast that China, the world's biggest producer, has cut capacity by more than Australia's entire coal output. Global coal output is set to shrink over the next year or two as miners grapple with a combination of low prices, weak demand and currency headwinds. High-cost Australian operations are under particular pressure..
Coal for power generation at the port of Newcastle in Australia, the benchmark for Asia, was quoted at $87.30 a tonne on Monday, its lowest level since June 2010 and down more than a fifth since the start of the year. The collapse in thermal coal prices have seen the shares of US producers – which have been switching to exports as domestic demand declined – plummet this year and the bloodletting continued on Monday. ...High inventories thanks to a mild northern hemisphere winter and a resulting surge in US exports have led to a collapse in thermal coal prices. US producers have been switching to exports as domestic demand collapsed in a record warm winter. According to the latest stats from the Energy Information Administration (EIA), coal-fired power stations represented just 36% of US electricity in the first quarter of 2012 — a rapid decline from 44.6% just one year ago. HUNTER coal companies are in for a harder year financially after Japanese electricity companies secured an 11 per cent cut in the annual benchmark price for Newcastle thermal coal. This year’s benchmark price of $US115.20 ($112.90) a tonne compares with last year’s of $US129.85 ($127.25). It could cut $1 billion from this year’s Hunter coal earnings. Asian buyers kept up the downward pressure on Newcastle thermal coal prices Friday by insisting on asking sellers for price discounts on prompt shipments at risk of going into default. "Some Hunter Valley coal producers will be in serious trouble because current spot prices are close to their production costs," said a participant in the Asia-Pacific market. "If the market continues in this direction, then some mines might have to close," he said. Falling coal prices ...have forced Australia's producers to start trimming output and letting go of some workers, hurting miners, rail and port operators and potentially threatening plans for more than $30 billion of investment in new mines. Thermal coal prices have fallen 20 percent this year to a near two-year low of $92 a tonne at the Australian port of Newcastle, based on globalCOAL's index, which has left prices close to the operating cost for some mines. 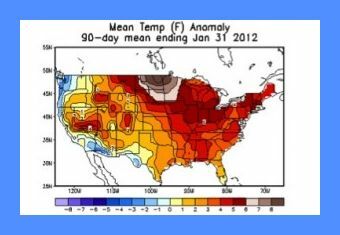 Since November 2011, natural gas prices declined nearly 50 percent to lows back in April as one of the warmest winters in decades contributed to an oversupplied market. Just four weeks ago, front month natural gas fell to a 10-year low of $1.907/MMBtu. ...Generation from natural gas rose 12 percent to 86 terawatt-hours. Coal-fired generation, however, fell by 21 percent during the period to 132 terawatt-hours. U.S. natural gas prices slid to a fresh 10-year low Tuesday, with the Nymex April gas dropping nearly 3 percent to a low of $2.204 per million British thermal units. Meanwhile, U.S. benchmark central Appalachian thermal coal prices fell last week to $58 a metric ton -- the lowest level in nearly two years. Barclays is forecasting a surplus of 20 million to 35 million tons in 2012 in U.S. thermal coal. Analysts believe inventories are at risk of swelling to unsustainably high levels, given utilities inventories are already at 170 million tons, above the historical average of 150 million tons. Washington, 15 May (Argus) — US coal exports reached a more than three-decade high in March, reaching 11.1 million short tons (10 million metric tonnes) as lower domestic demand allowed more coal to head into seaborne markets. Every US coal-producing region is trying to boost exports as domestic generators increase their reliance on competitively priced natural gas. The power generation industries in China, India and the U.S. are transforming coal so it may be used more efficiently. This lowers the cost of generating electricity. One coincidental benefit is that cleaner energy is produced. Other benefits are the flexibility to substitute alternate energy sources for coal and to eventually move to hydrogen fuel production without needing to replace gas-fired power stations. In Australia the Opposition Leader Tony Abbott in a recent address to the Minerals Council of Australia revealed he mistakenly believed the policy reform of Australia's energy industry was directed at phasing out the use of coal and gas. He hasn't understood the technology to transform coal into a cleaner and more efficient energy resource. This is technology being deployed widely in China. India is keen to follow China's example. U.S. plans to increase use of this technology have been temporarily put on hold with the serendipitous windfall of abundant cheap natural gas. The Australian coal industry itself may share the same misunderstanding as Tony Abbott. It is seemingly pursuing a strategy to construct as many new coal-fired power stations as possible. The effect of this strategy is to lock-in continuing demand for coal before the mistakenly suspected "phasing-out" of coal can begin. "Question for Mr. Kushner: Who decides what energy sources make the most sense and why do we need Washington to force transition?" "The public has made the clear connection that making affordable energy more expensive is crippling the economy and will respond." "Transition from coal? What about the rest of the world? And do you also oppose exporting coal, Mr. Waxman?" You can follow the discussion of policy reform in the U.S. energy industry on Twitter: hashtag "#NJClearair". 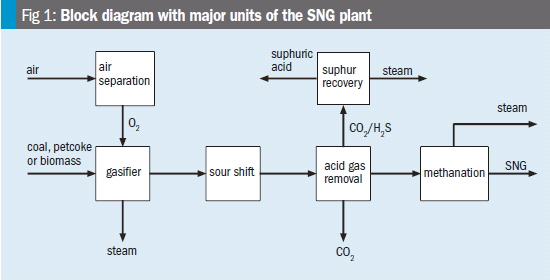 Stage 1 of the coal gasification technology China is deploying converts coal into synthesis gas. Further stages then convert this to methane ("Substitute Natural Gas" or SNG) and carbon dioxide. In a variation that eliminates the cost of coal mining and does away with the plant for the initial stage that converts coal to synthesis gas, the United Kingdom is developing Underground Coal Gasification projects. These projects convert deep coal seams that cannot be commercially mined into synthesis gas which is then piped to the surface for further processing stages as in China's coal gasification plants. Since 2009, many Japanese delegations have visited Victoria to discuss low emission coal technologies, carbon capture and storage (CCS), and the use of Victorian brown coal resources. These visits have reinforced Japan’s interest in Victorian brown coal and collaboration with Victoria on project development and R&D, to develop low emission coal technologies such as gasification, CCS, the production of synthetic natural gas (SNG), and liquid fuels. The Commonwealth is also collaborating with the Victorian Government to evaluate proposals by Japanese companies to apply gasification technologies to brown coal. The idea is to convert Victoria's abundant supply of brown coal to higher value commodities such as substitute natural gas, hydrogen and liquid fuels whilst capturing the CO2. Investing in this technology will also enable the development of other uses for coal such as production of other carbon sourced products such as diesel or hydrogen, which potentially could be used as a low emissions fuel for cars, synthetic natural gas, fertilisers and methanol.